Since 1984, BAM has been the only New York City venue presenting Tanztheater Wuppertal Pina Bausch—a friendship almost 30 years old. Over these years, hard-core Pina fans waited eagerly for the company to return while new devotees have been initiated into the fold, and virtually every performance sold out. BAM has also played an active role in helping to document the work. BAM’s identity as a home for the contemporary performing arts is inextricably tied to Tanztheater Wuppertal. BAM’s Archives holds hundreds of photos, videos, press releases, clippings, invitations, posters, and correspondence from Tanztheater Wuppertal's 13 visits, presenting two dozen pieces. It was therefore natural for Salomon Bausch, Marc Wagenbach, and Dirk Hesse of the Pina Bausch Foundation to visit the BAM Archives in October of 2010. They initially came to see the materials we had collected and we ended up talking over several days about the work of the company, our shared histories, and the unique challenges in documenting contemporary performance. As a result, I have visited Wuppertal twice in order to discuss the work of the Pina Bausch Archives. On my first visit, it was amazing to see performances in Wuppertal, including Two Cigarettes in the Dark, presented at BAM in 1994. Read about the work of the Pina Bausch Foundation and the work being done on her Archives here. Stay tuned for more updates on the project or contact the BAM Hamm Archives for more information. Vollmond, performed at BAM a couple of years ago, was the first Bausch work I'd seen live. I think a field trip to Wuppertal is in order. Organized by BAM? Kudos to you for your wisdom in promoting, hosting and archiving the work of this late great poet genius. 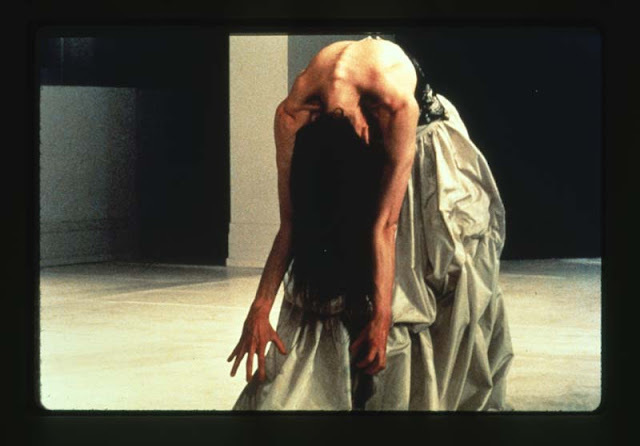 Pina Bausch has reached in to the chaos of the human condition and with the mirror of her vision through dance and music, has given us an image and a voice with which to speak from the silence of our isolation.